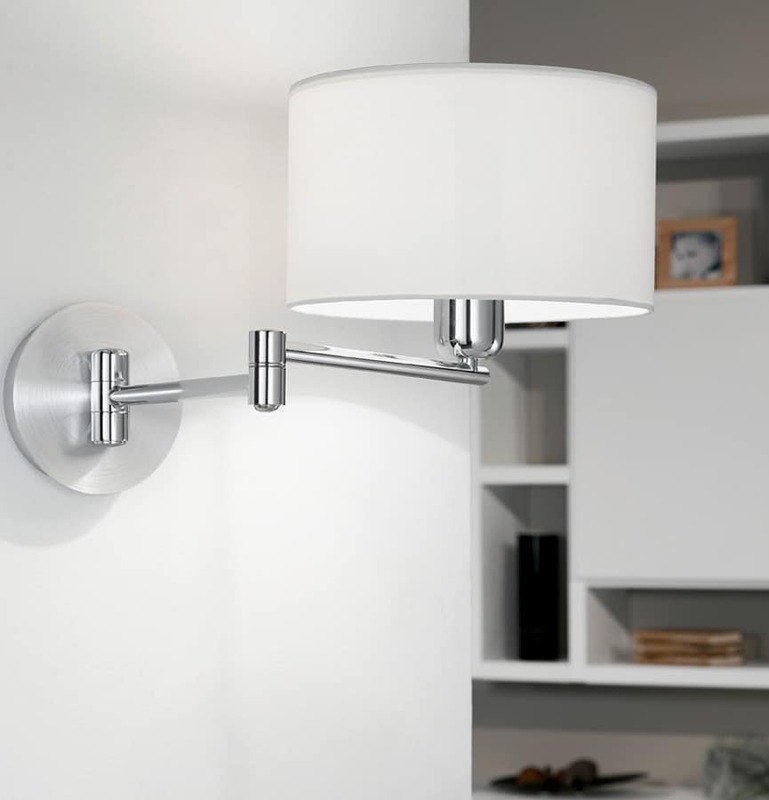 This Halva touch dimmer swing arm wall light with shade in polished chrome finish is practical and stylish. Featuring a circular wall mount, fully adjustable double hinged arm and off-white fabric drum lamp shade. Touch the body to switch on, touch to brighten or dim and touch for off. Perfect as a bedroom wall light positioned above a bed. Touch the lamp, swing the light out for reading, touch to switch off and push it back when not in use. A dual finish of polished chrome and brushed aluminium creates a lovely contrast and the off-white shade ensures that it blends well with a variety of rooms. The double hinged nature allows the lamp to project further from the wall, which makes it suitable for mounting in any living room or dining room to assist with reading or any other task activity. Maximum projection 595mm. A class 2 double insulated product, no earth required. Please follow this link to view or download the installation instructions. 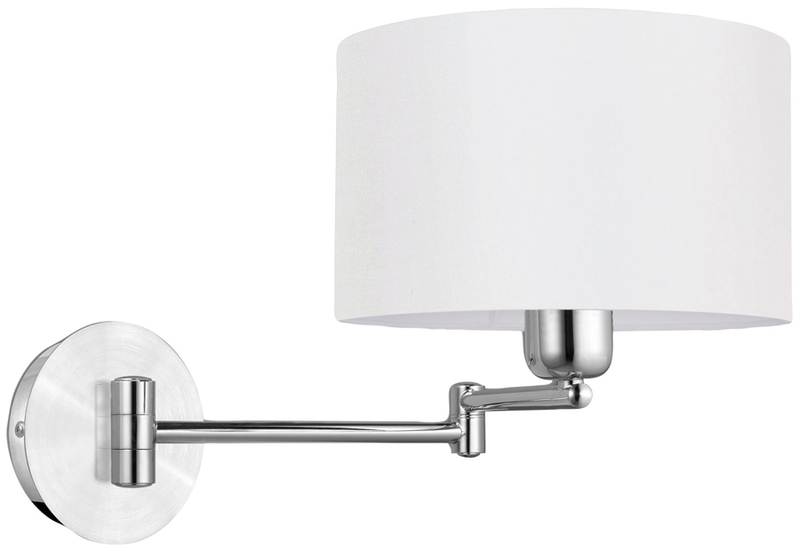 There are coordinated fittings in the Halva polished chrome lighting range that include a bedside wall light with LED reading lamp, a two light floor lamp and three light pendant; please see below. This modern light is made by Eglo International who have been around since 1969 and is one of the largest European manufacturers, with a huge range of traditional and contemporary designs like the Halva touch dimmer swing arm wall light with shade in polished chrome finish you see here.